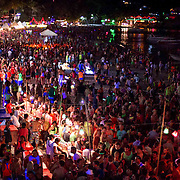 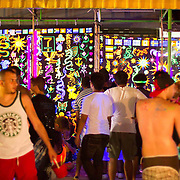 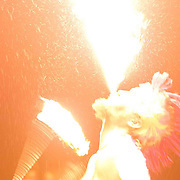 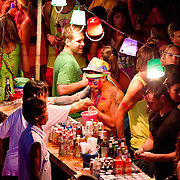 The legendary monthly Full Moon Party kicks off at Haad Rin on the small island of Kho Phangan, Thailand. 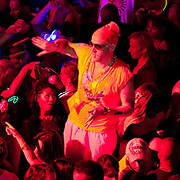 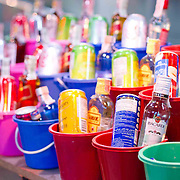 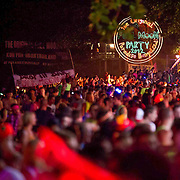 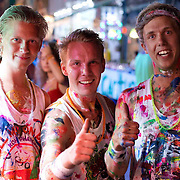 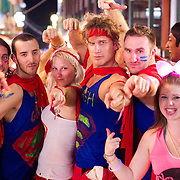 The party attracts between 10,000 - 30,000 party-goers from all over the world each month. 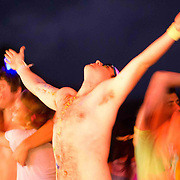 DJ's blast a cocktail of house, trance, techno, drum n bass and funky dance music out to fun worshippers who are often high on more than just music and drink.